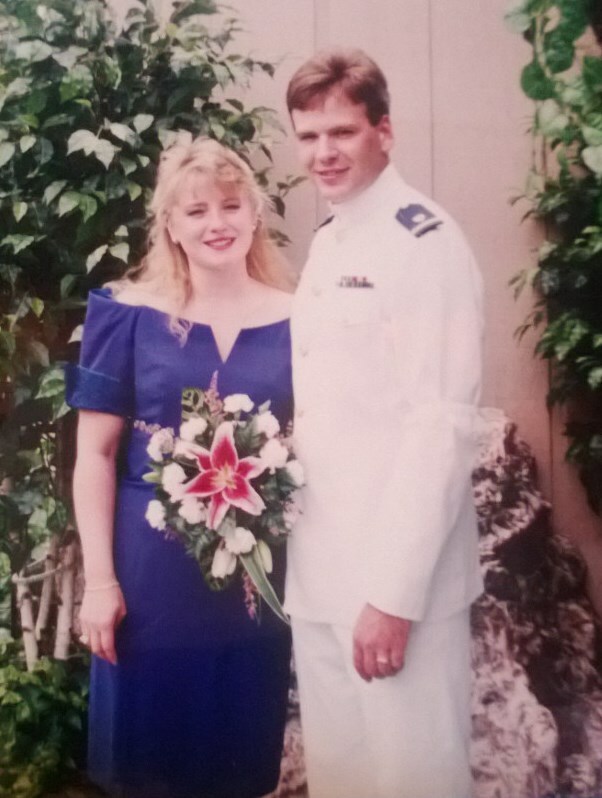 Happy 20th Anniversary to my amazing wife Dayna! 20 years and 17 days ago, Dayna and I met for the first time. Today, we celebrate 20 years of marriage and I thank Jesus every day for the blessing she is in my life. It is ONLY through a foundation based on Jesus that we met, were married, and are happily married 20 years later. It’s crazy to think we met, were engaged after 13 days, were married after 17 days, had our first daughter 10 months later, lived in 4 states in our first 8 years of marriage, and today we celebrate 20 years of marriage. How did the first meeting happen? Our mothers bumped into each other at Western State hospital and exchanged addresses for their kids. 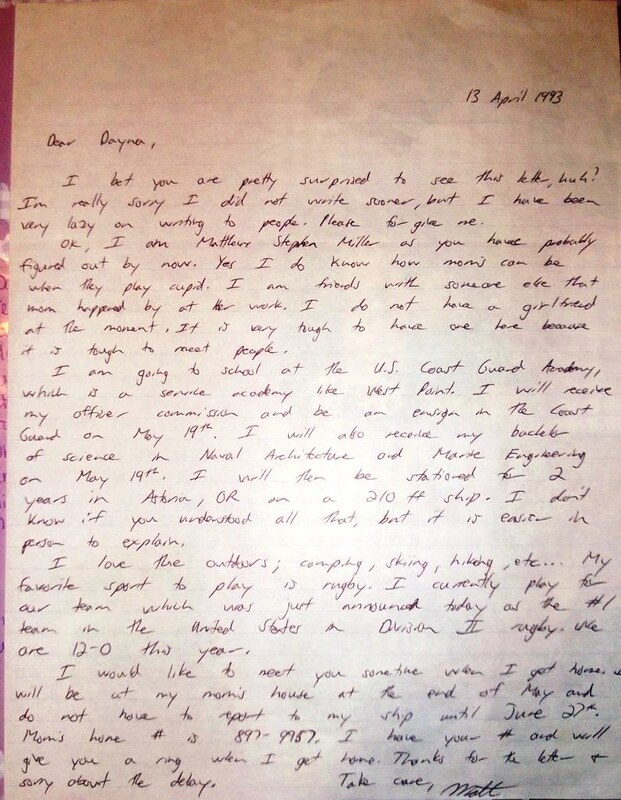 As you can see in the photo, Dayna wrote me an introductory letter on February 17th, 1993 while I was a senior at the US Coast Guard Academy. 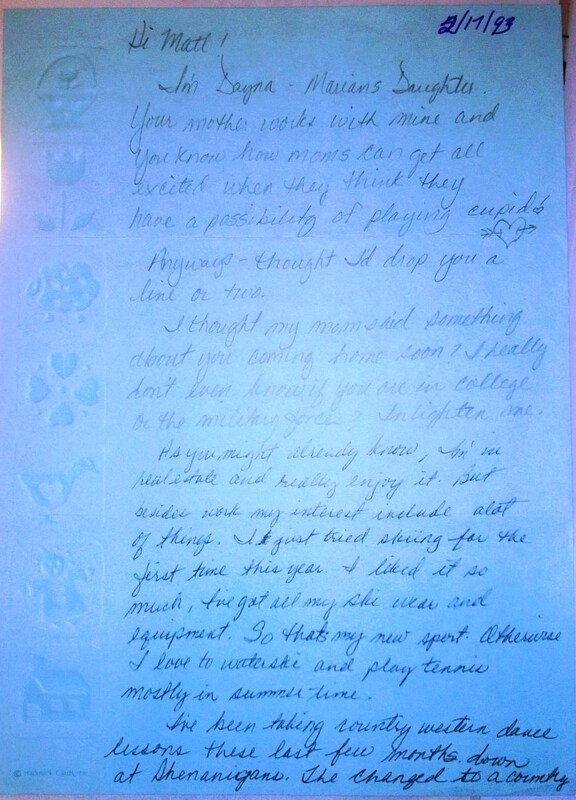 I wrote a return letter on 13 April and we later found it behind her dresser after it fell there before she ever had the chance to read it. I graduated in May and then headed home to Washington. I was bored since all my buddies had already graduated and were working and I had time before I reported to my first ship. I decided to call up Dayna to see if she wanted to go to lunch. 13 days later we were engaged, at a local Mexican restaurant, and 17 days after meeting we were married in Lake Tahoe, Nevada. I never felt apprehensive about the quick marriage because we both had Jesus at the center of our lives and He gave us both assurance that this marriage was meant to be. We have lived in four states, had daughters in three of those, and vacationed around the world. Marriage is not easy, but Dayna and I made a commitment to stay together for life and we mean it. There have been ups and downs, mostly ups, and I couldn’t ask for a more blessed life and wife. I have doubted my abilities over the years, in grad school at Berkeley, working on salvage cases, and performing calculations for unique projects, but Dayna has always been there supporting me and giving me the confidence to succeed. I couldn’t be the success I am without her and the blessings of the Lord. 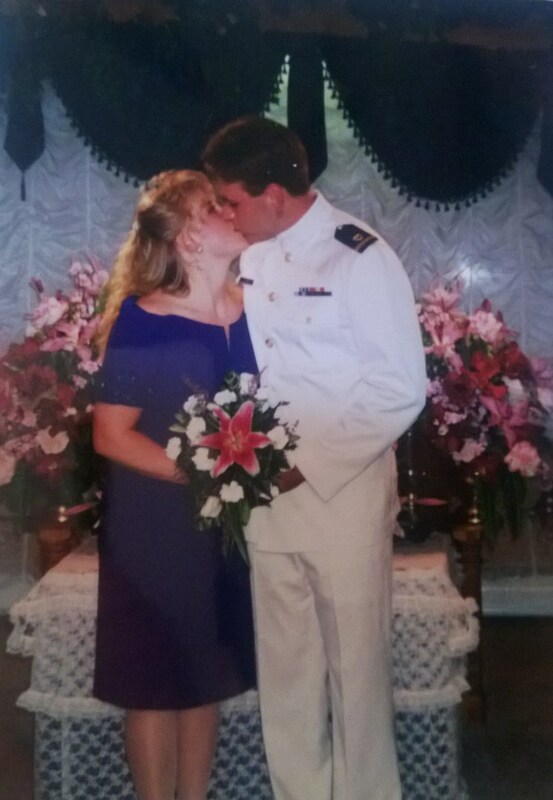 20 years has flown by and my wonderful wife is more beautiful than ever. I hope she enjoys the gift and day I have planned for us. This entry was posted on June 21, 2013, 04:00 and is filed under Christian, Personal. You can follow any responses to this entry through RSS 2.0. You can leave a response, or trackback from your own site. You are the dream most women or at least the ones who have “BRAINS” would love in a husband….and as Dayna’s Auntie, I knew from the moment I met you that God chose you!!! Haleluja!!! I Love you Matt and am proud to be your Auntie!!!! Dayna is TRULY BLESSED! and you have given me 3 BEAUTIFUL CHRISTIAN great nieces!!! !